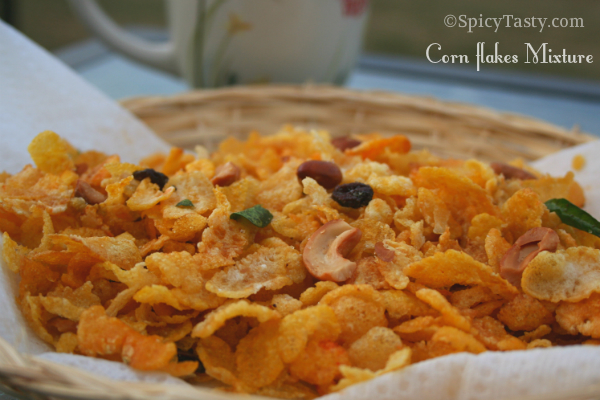 This Corn flakes mixture is one of the easiest snacks which everyone will like. We can make in large quantity very easily. This sweet and spicy mixture is my all time favorite. Heat oil in a small kadai and fry the cashew nuts, peanuts, raisins and curry leaves one by one and transfer them to a tight storage box. Add the red chilli powder, salt and sugar. 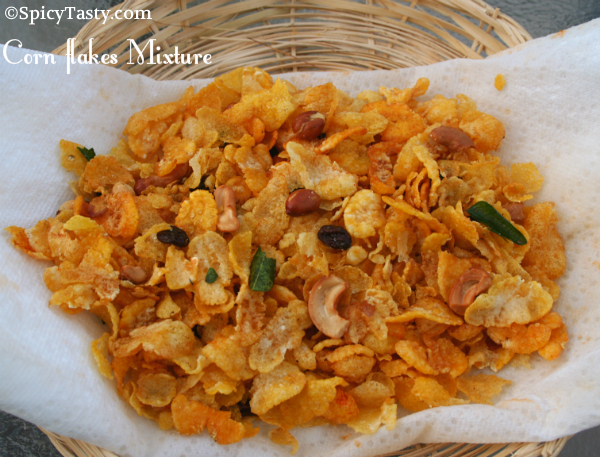 Fry the corn flakes (I have used corn poha) batch by batch and transfer to the same box. Mix well by shaking the container slowly.